My wife just had a baby boy, our first. These last few weeks have been magical and intimate and, as much as anything, interesting. I mean, a lot of what I do is write about animal reproduction, so watching my wife's body seamlessly shift into mammal mode piqued equal parts personal and professional curiosity. But now that the baby's out, I kind of wish we were all kangaroos. Don't get me wrong – massive brains, a couple of opposable thumbs and the ability to record several television shows at once makes life pretty good. 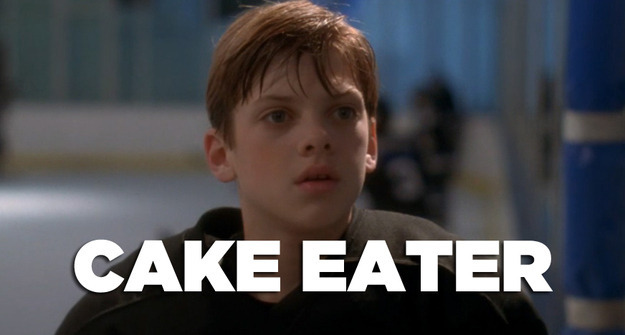 But when it comes to rearing babies, the kangaroos have us beat. First of all – and ladies, you may find this interesting – kangaroo birth is so gentle you could probably do it without interrupting your Orange Is The New Black marathon. That's because the little joey starts out at about the size and shape of a jellybean. The joey is so small at this point, its eyes, ears, organs and central nervous system aren’t completely developed. About the only thing it has going for it, aside from the claws, is the olfactory bulb, a section of the brain devoted to the sense of smell. 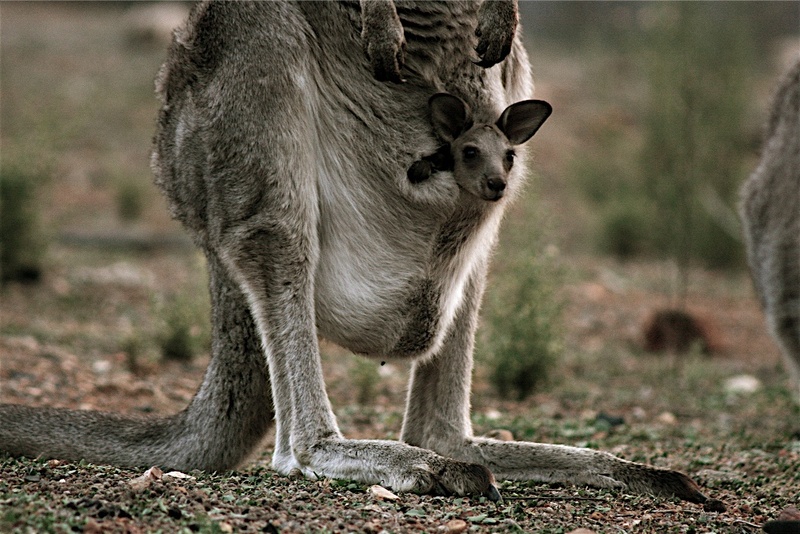 This allows the baby roo to follow the scent of saliva into the pouch. Now, if you've never had children, I'll let you in on a little secret: lactation is hard work. You'd think the baby would just jump on and go buck nutty, but in fact, mothers have to teach human babies the proper way to latch and suckle. (Side note: Lactation consultants are mythical creatures.) But those kangaroos, why, they suckle like their life depends on it! But here's the best part, once Baby #1 is firmly attached to the teat, the mother kangaroo can basically wipe her paws of it. 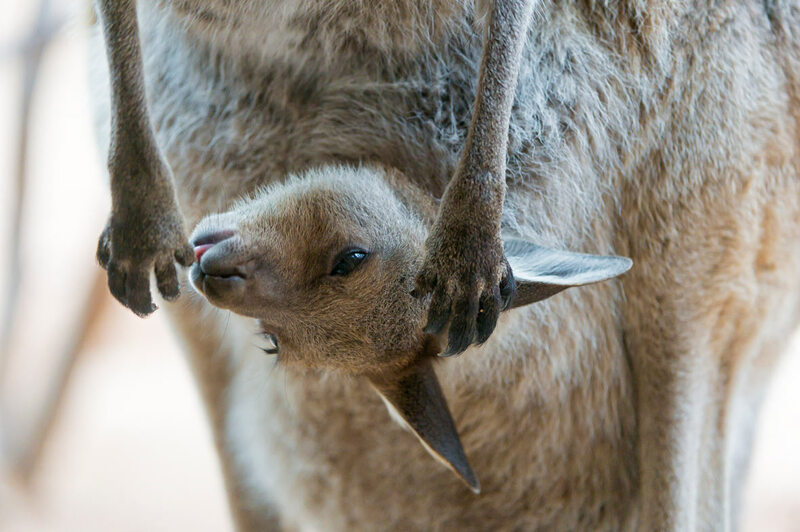 Red kangaroo joeys spend about 235 days in the pouch before popping out, and grey kangaroo joeys stay pouched for the better part of a year. Maybe it's just because my baby needs a feeding or a diaper change approximately every 45 seconds, but I think ten months in a dark pouch sounds pretty cozy. Things get even weirder when Baby #1 starts to explore outside the mother's pouch. As the joey experiments with new plant foods full of carbohydrates, it suckles less. This lets the mother's body know that it's ready for Baby #2, at which point it allows another fertilised egg to begin cooking. After just 33 days of development, Baby #2 makes the journey to the pouch and starts to suckle. Amazingly, the presence of Baby #2 does not mean that Baby #1 gets the boot. Instead, the mommaroo's mammary glands start churning out two different kinds of milk – carbohydrate rich meals for the neonate and fat-rich meals for the yearling. Talk about made-to-order. And we're not even done yet! About two weeks after Baby #2 made the pilgrimage from cloaca to pouch, the female kangaroo got busy with a male kangaroo and she now has a fertilised egg waiting in her womb. And it'll stay there, real chill-like, until Baby #2 starts vacationing outside the pouch. For those of you playing along at home, the mother kangaroo's body is now supporting three joeys, all at completely different stages of development. She is literally a full-service, baby-making factory. And actually, now that I think about it, I think I'll stick with just the one screaming mimi. Sources: The Life of Mammals by David Attenborough, Inside Nature’s Giants by David Dugan, Aardvarks to Zebras by Melissa S. Tulin. Would you have been cool in prairie dog high school?